Online Banking is awesome and excellent and I strongly recommend to everyone I know to make use of DCU banking. Payment Center is a convenient and secure way to move money into DCU and to make payments and transfers to your DCU Accounts. It puts you in control so your money is where you want it, when you want it there. To get started simply login to Online Banking Account Manager and choose Payment Center which is located in the toolbar under Payments/Transfers. 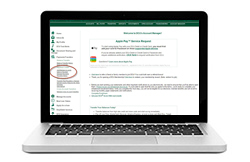 The Payment Center system has four links to help you schedule payments and electronic transfers. 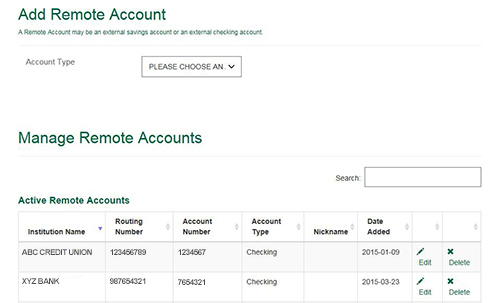 Add/Manage Remote Accounts: Add your Checking and Savings Accounts from other financial institutions. You can also View, Edit, or Delete your remote accounts whenever needed. 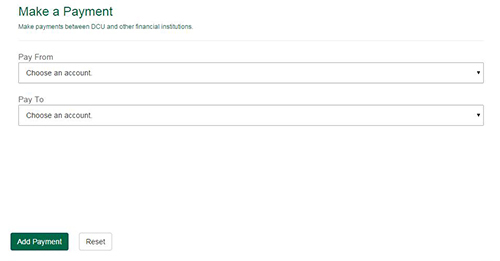 Make A Payment: Make payments between DCU and other financial institutions. 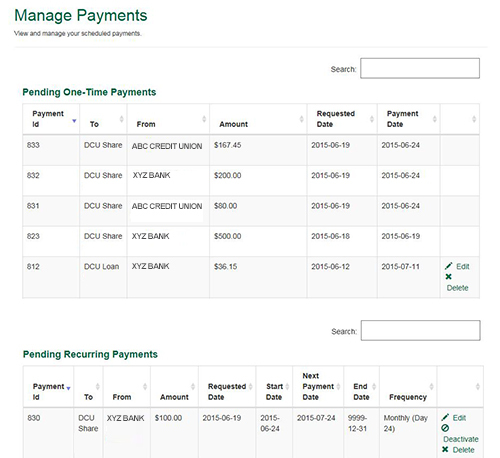 Manage Payments: View, Edit, or Delete your scheduled payments. Payment History: Maintains a record of your processed payments. Q: Can I change a recurring payment? Yes, if your payment isn't already processing, Edit and Delete can be found under Manage Payments in Payment Center. If Edit and Delete are not available the payment is already processing and cannot be modified or canceled. Q: Can I change a one-time payment? A one-time payment set up to occur within 48 hours cannot be modified or canceled once it has been submitted. Q: How much time will it take to process my payment? A payment or transfer requires 48 business hours to process. Q: What is a Routing Number? A Routing Number is a nine digit number used to identify a financial institution. Routing Numbers can be found on the bottom left-hand side of your check or by contacting the financial institution. DCU's routing number is 211391825. Q: What is a Remote Account? A Remote Account is a savings or checking account that you may have at a separate financial institution outside of DCU. Q: I have an ACH that was set up prior to Payment Center. How can I manage it myself? If you have a DCU ACH already set up that you would prefer to manage yourself with Payment Center, please call us at 508.263.6700 or 800.328.8797 to cancel your existing ACH. Q: Are there minimum and maximum payment and transfer amounts? Yes, the minimum amount is $0.01 and the maximum amount is $2,500.00. The credit card payment maximum amount is your ending statement balance or $2,500.00 – whichever is greater. Q: Can I pay more than the amount due on my loan? Yes, you can pay twice the amount due. For example, if your loan payment is $300 per month, the maximum payment allowed is $600. "Product is easy and accessible from anywhere, anytime"
I've been using Online Banking and Bill Payer since it was offered at DCU. Just like everything offered, it is user friendly, efficient, and saves me time. I also feel it is very secure and you do everything possible to protect my data. Account Manager  Manage your accounts, get messages, upload documents, accept loan approvals, and so much more within Online Banking. StreetWise Guide to Reg D Transfer Limits – Learn what accounts are affected by federal limitations on monthly electronic transfers and how you can avoid problems with it. Security Features  Here's how we protect your information and our systems. Scheduled Maintenance  At off-peak times, we may take the system down for upgrades. Find out when the next times are. Stop Payment Request (.pdf format) – Please use this form to place a stop payment on your account for both checks and ACH electronic items. Affidavit for Unauthorized Pre-Authorized Checks (.pdf format) – Please use this form to report Pre-authorized Checks which have been fraudulently cashed on or against your account. Written Statement of Unauthorized Debit (ACH) (.pdf format) – Please use this form to report a fraudulent or unauthorized transaction involving either a Pre-Authorized Withdrawal or Direct Deposit from a savings or checking account. Electronic Services Disclosure (.pdf format) – This covers disclosures related to DCU electronic services such as Debit Cards, ATM Cards, Online Banking, Mobile Banking, and the Easy Touch Telephone Teller system. DCU Payment Center General Terms and Conditions (.pdf format) – This covers disclosures related to DCU Payment Center such as limits, timeframes, and payments.